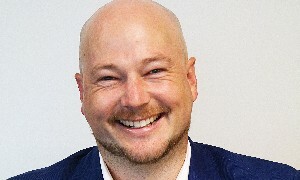 The lender has hired Graham Clarke, former National Sales Manager at Mortgage Link, as its new Business Development Manager for the north island, as it aims to build a greater number of partnerships with advisers. The new hire comes as the business prepares to move in early to new premises on 33 Broadway in Auckland, a new development also occupied by Mercury Energy. The group has employed an extra 30 people over the past few years, due to increased demand. Avanti has also secured new funding over the past year to support a series of acquisitions over the past five months. Stephen Massey, head of sales at Avanti, told TMM Online that the developments were part of a concerted effort to build its adviser channel and raise awareness. "Graham has a strong adviser focus which is hugely important to us, as we look to grow. It is about having a stronger presence, supporting the adviser channel and helping them learn more about Avanti." Clarke worked for Mortgage Link between 2017-2019 and was previously BDM for NZCU Baywide, according to his LinkedIn profile. Before that, he worked as a mortgage lender for TSB Bank and Westpac across Napier, Hastings, and Palmerston North. He is set to meet with adviser groups and brokerages across the north island to build relationships, Avanti said. Massey said Avanti is keen to grow its near-prime mortgage business through lower long-term rates. Avanti is also targeting near-prime vehicle finance lending, following its acquisition of Branded Financial Services at the end of last year. "We have been doing vehicle financing for 20 years, but this gives us exposure to first tier vehicle lending." Avanti also entered the insurance premium funding market with the acquisition of Bexhill Funding Group in January. Bexhill allows advisers to work out flexible premium funding arrangements with their clients. Massey says it is another growth area for Avanti. "Our goal is to be recognised as the non-bank lender of choice, and to achieve that, we have expanded our product suite since the end of last year." Avanti has sourced more funding for its growing product range over the past year. In late January, an unnamed private equity firm took a minority stake in the business, Massey said. Meanwhile, Avanti's SME lending platform, Get Capital, received a securitisation funding line from BNZ. "It's our first foray into having a second bank in the mix, and it's an important step for the business," Massey said.